The contemplative loan piano which opens hank and the Hammerheads self titled release is a curve ball as the band lulls the listener before slamming them with their brand of noisy garage rock/punk on album opener "I CAN'T STAY". The New York based outfit has some interesting lineage as front man Hank Wood's father Charles Wood spent some time as the drummer for NYC legends Richard Hell and the Voidoids as well as other formidable punk acts and his sons band has a swaggering grimy cool from the late 70's flowing through their songs. "HOW'M I SUPPOSED TO WAKE UP IN THE MORNING" is a blasting slice of garage rock with a swirling organ and power packed drumming while "YOU WANNA DIE" is the most pummeling straight ahead punk song the group presents on this record. The band which comes to mind often while listen to HW&TH is not a New York City staple but one from Boston; The Pixies. Their influence feels ingested in their brief angular tunes such as with the guitar layering complete with acoustic breakdown in "MUST BE NICE" and the groovy sense of sway in "IT'S LONELY IN THIS WORLD ALL ALONE". While lead singer Wood curses more than Frank Black, there is a definite connection in their brief yelps and singing style. "LOVE IS A COLD WHITE TILE" is a head bopping bit of garage soul which hits its mark winningly while the swaggering "WHISPER" ends the record on an all out note again using an acoustic breakdown to excellent effect. "CONCRETE" isn't as successful with its one track chant, it could actually improve by a bit more power and ferocity. This is the groups third album but they have said it feels like a rebirth for the band having partnered with engineer producer Ben Greenberg to excellent results. 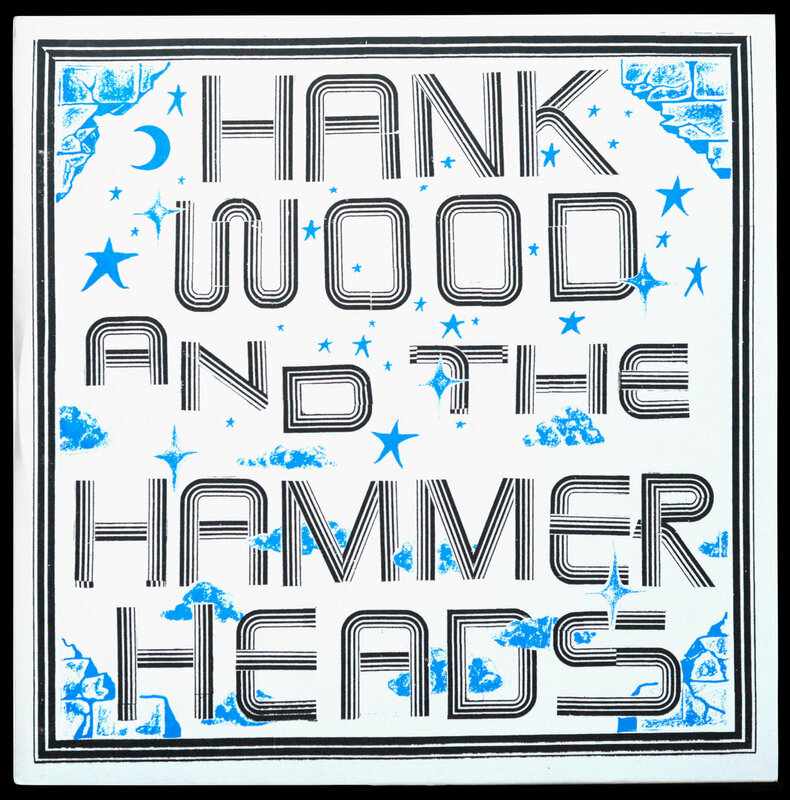 Hank Wood and the Hammerheads use pounding drums scuzzed up guitars and hip swinging grooves to superb effect on their self titled album.